On August 22, the students of award-winning charter school NOVA Academy Early College High School, and the entire community of Santa Ana, will open a priceless gift wrapped with a gigantic red bow: NOVA’s new four-story, 37,000-square-foot educational facility at 500 W. Santa Ana Blvd. in the city of Santa Ana. NOVA purchased the building last fall for $8.3 million. The state-of-the-art building features 20 classrooms, an open study lounge with Chromebooks for every student, and fully integrated technology that transforms the academic experience. The festivities will run from 5:00 p.m. until 8:00 p.m., with the official opening ceremony beginning at 6:00 p.m.
Mayor of Santa Ana Miguel Pulido, Congresswoman Loretta Sanchez and Santa Ana City Council members David Benavides (Ward 4), Roman Reyna (Ward 5), and Sal Tinajero (Ward) are among the government dignitaries who will be in attendance. In addition, longtime NOVA champions Doug Hodge, CEO/Managing Director of PIMCO, and his wife, Kylie Schuyler, Executive Director of international nonprofit Global G.L.O.W., are among the many dignitaries who will be attending the ribbon-cutting. Hodge, who along with Schuyler heads up the Hodge and Schuyler Family Foundation, a significant donor to NOVA, will speak during the ceremonies. Other dignitaries include representatives from three other Orange County–based foundations, all of which have contributed a minimum of $100,000 to NOVA Academy since its founding in 2005: Wallace Air Cargo Group, Waltmar Foundation, and the Kenneth A. Lester Family Foundation. The move to the new building enables NOVA Academy—awarded a silver medal by U.S. News & World Report in its rankings of the Best High Schools for 2016—to increase its enrollment from 400 to 450 students in grades nine through twelve. The opening ceremonies will feature a variety of celebratory moments, including the cutting of a red ribbon on the front doors of the school. A 200-foot red ribbon and larger-than-life red bow will also be showcased on the front of the building. The ribbon and bow, made possible by an anonymous donor to the school, manufactured by King Size Bows of Costa Mesa, and installed by Sign Specialists Corporation of Santa Ana, symbolizes the building’s gift to NOVA students and to the Santa Ana educational community. The bow will stay in place on the roof for a few weeks following the ceremony. NOVA student Janet Martinez, a rising senior, will speak at the ceremony. Martinez has earned medals in both art and science; has been actively involved in the Global G.L.O.W. program, and was one of only 100 students nationwide to be admitted to the highly competitive LEDA Scholars Program hosted at Princeton University in New Jersey, which helps socio-economically disadvantaged students obtain information about admission to the best universities across the country. Following the ceremony, NOVA student ambassadors will guide visitors on walk-throughs of the new school building. The tour will include a visit to the “NOVA Walk of Fame”: Cast bronze stars imprinted with the names of the school’s most engaged and generous supporters and placed in the floor of the administrative building. NOVA Academy: Making College Affordable Before It Was a Hot Political Topic! At a time when the affordability of college education is a major election-year topic, NOVA Academy leads by example: As early as the second semester of their freshman year, students can take advantage of the NOVA’s early-college offerings, all of which are paid for by NOVA and do not cost the students a cent. Students can take online college classes from University of California, Irvine, college-level classes offered at NOVA by professors who come to campus from Concordia University, or college classes on the campus of Santa Ana College. In total, NOVA students accrued 653 college units in 2016 alone—putting them ahead of the game when they graduate from high school, and saving them untold thousands of dollars when they get to college. NOVA Academy has earned many recent accolades for its unique system: In addition to Silver Medals from U.S. News & World Report in 2015 and 2016, the school was ranked #11 out of 70 high schools in Orange County by the Orange County Register in its last ranking of the Best Public Schools in 2014. 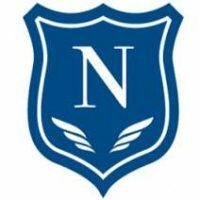 NOVA Academy’s current student body comprises 400 students in grades nine through 12. The student population is 98 percent Hispanic, with about 80 percent of students coming from low-income families and 13 percent considered homeless; other students live in foster or group homes. In addition to principal Andrea Brumbaugh and Assistant Principal Kathryn McGillivary, NOVA Academy in Santa Ana has 20 teachers and committed counselors and staff members who focus on college readiness and who are dedicated to the development of each student’s social, emotional, intellectual and physical well-being. Through close relationships, high expectations and a college-going culture, curriculum is developed to address the importance of soft skills necessary to be successful in navigating through life. These skills—persistence, discipline, teamwork, communication, and collaboration—are interwoven through a class called “Family,” where one teacher is the point of contact for the each student’s four years at NOVA Academy. NOVA recently formed the NOVA Academy Children’s Foundation, dedicated to raising funds to enhance the school’s physical, technological, and educational resources and offer its students even greater opportunities in the future. Doug Hodge of PIMCO serves as President of the Foundation. Hodge and wife Kylie Schuyler also contributed time and funds that enabled NOVA to purchase the new building.